To celebrate Donald Trump’s clear love for the USA’s First Amendment, Science and the environment, we are spreading love for the ocean all this week by giving away our eBook, “Do Fish Sleep? : and 38 other ocean mysteries” (subject to Trump shutting down the internet before them). To get your free copy, just follow this link to the book’s page on Amazon and click “Buy now with one click” to receive your free copy. The book is free until Sunday 29th of January.To read it, you do not need to own a Kindle device, just the Kindle App, which is free to download for smartphones and tablets. It can also be read with “Kindle Cloud Reader” on a PC or Laptop. *Some people would say that this is a falsehood. We insist that we are just providing an “alternative fact”. How do the oceans slow down the effects of climate change? Total amount of heat from global warming that has accumulated in Earth’s climate system from 1962 to 2008. From Church et al. (2011). How far will sea levels rise in the next 100 years? Rising sea-levels over the last 100 years of about 20cm have led to more severe flooding of coastal regions. Image credit: Marc Averette/ Wikipedia commons. Following on from last month’s climate talks in Paris, and in the wake of bizarre weather patterns that are currently sweeping the globe, we here at Words in mOcean have decided to begin the year by focusing our attention on climate change and our oceans. Alien abductions, wormholes, peculiarities in the Earth’s magnetic field, energy crystals from The Lost City of Atlantis ─ these are just a few of the far-fetched theories that have been proposed in order to explain the disappearance of ships and planes in the mysterious Bermuda Triangle. But does the Bermuda Triangle really exist? Or is it just a legend that has grown out of control? 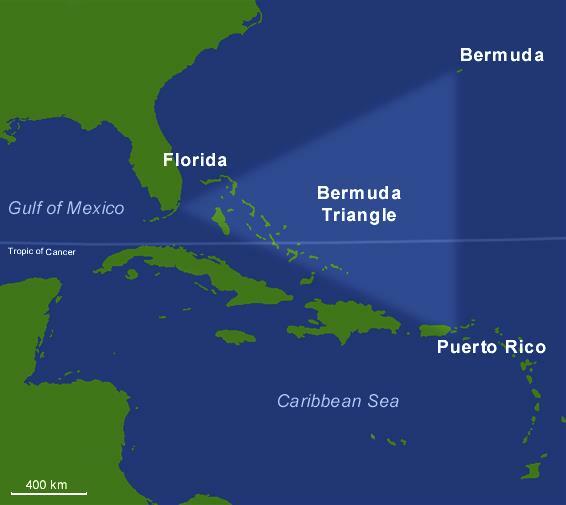 Does the triangle of ocean between Bermuda, Puerto Rico and Florida really have mystical properties? Image credit: Alphaios / Wikipedia commons. Where did the water in the ocean come from? We still do not fully understand where all the water on this planet, including that in the ocean, originally came from. 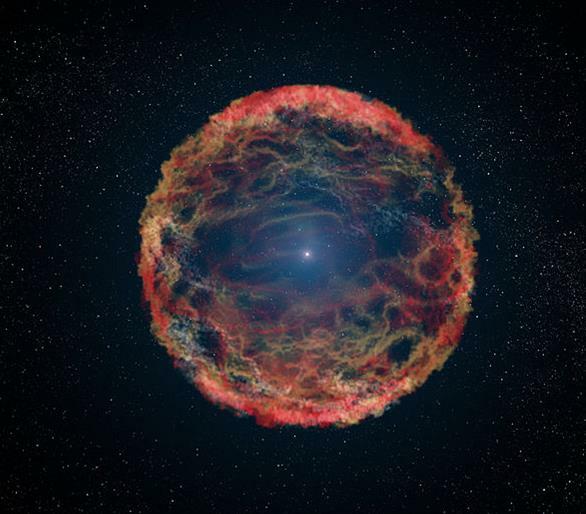 At a fundamental level we know how water in the universe comes into existence: when stars reach the end of their lives in a violent explosion called a super­nova, there is enough heat and pressure to bring oxygen and hydrogen together to form water. When The Solar System was forming, 9 billion years after the big bang, there is no doubt that water would have been an ingredient in the dust cloud that went on to form The Sun and its planets. But scientists think that Earth would have been a lot hotter than it is today; and with no atmosphere any water hanging around would have simply evaporated into space. That means that The Earth must have gained its water sometime after it was formed. Water is made from oxygen and hydrogen under the enormous heat and pressure created during a supernova, where a star reaches the end of its life and explodes. Image credit: NASA, ESA & G. Bacon / Wikipedia commons.